350 people in our community are currently praying with you. Adoration of the Magi by Gentile da Fabriano c. 1423. Yet what can I give Him? I give Him my heart. The story of the three wise men is one of the most cherished parts of the story of Christmas. 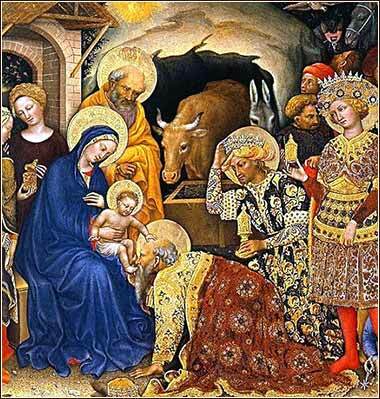 Christian tradition has split it into two similar stories; 1) the "Three Wise Men" or "Magi", and 2) the "Three Kings". The second of these is really a backwards interpretation, as it comes from a passage in Isaiah: "Nations shall come to your light, and kings to the brightness of your dawn. . . They shall bring gold and frankincense, and shall proclaim the praise of the Lord." (Isaiah 60:3,6) Also, it was not uncommon for lesser kings to travel to greet great rulers, bringing gifts. It is a nice interpretation, and commonly told in Western churches, primarily because of the popularity of the Christmas carol We Three Kings (of Orient are). But there isn't really much to support it. Much more clearly, they were magi. Although the word has come to refer to a magician in modern times, it did not when the Gospel of Matthew was written. 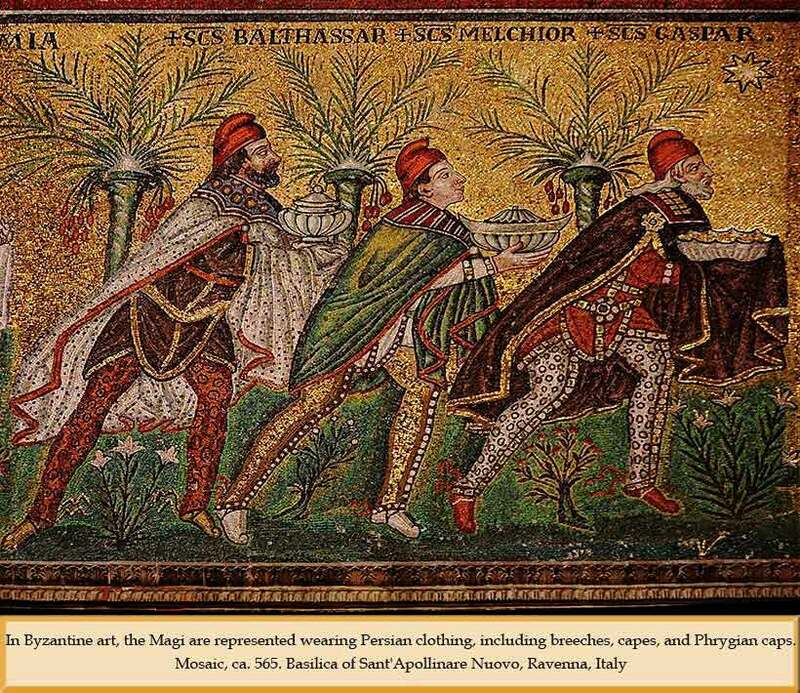 The magi were a very specific sect of astrologers centered in Persia or perhaps Babylonia (both of which lie east of Bethlehem). So the three magi were almost certainly from the general vicinity of Iran, and magi would have noticed such an unusual star and given it religious significance. The gold, frankincense, and myrrh were typical presents that would be brought to a king. Frankincense is a type of incense, burned for the fragrant smoke and often used in purification ceremonies; it is the "incense" still used today in some liturgical churches for special occasions. Myrrh is a fragrant oil, used for embalming and for unction. All three were costly. Many scholars have attributed a spiritual meaning to them: gold as a symbol of kingship on earth, frankincense as a symbol of priesthood, and myrrh (an embalming oil) as a symbol of death.